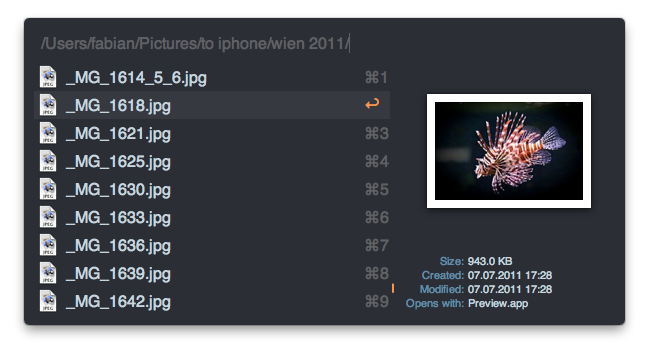 Why another alfred screenshot extension? Crawling the web for the right extension takes about the time to write a new one. 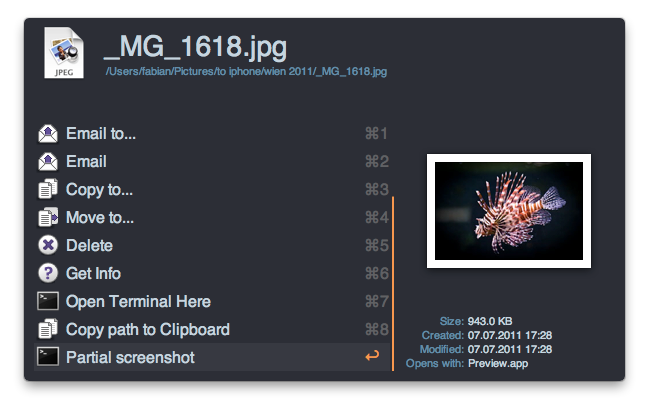 Why I wanted a screenshot solution that is not Skitch? Copy the code from the gist, edit the local destination and server settings inside the configuration block after the comments and use the following Alfred.app (beware: Powerpack feature (You don’t own it yet? What are you waiting for, it’s awesome) settings or any other application starter of your desire. The checked action checkbox means that you can trigger the extension from Alfred’s file navigation, pretty handy for uploading some existing local file. Grab the extension right here. 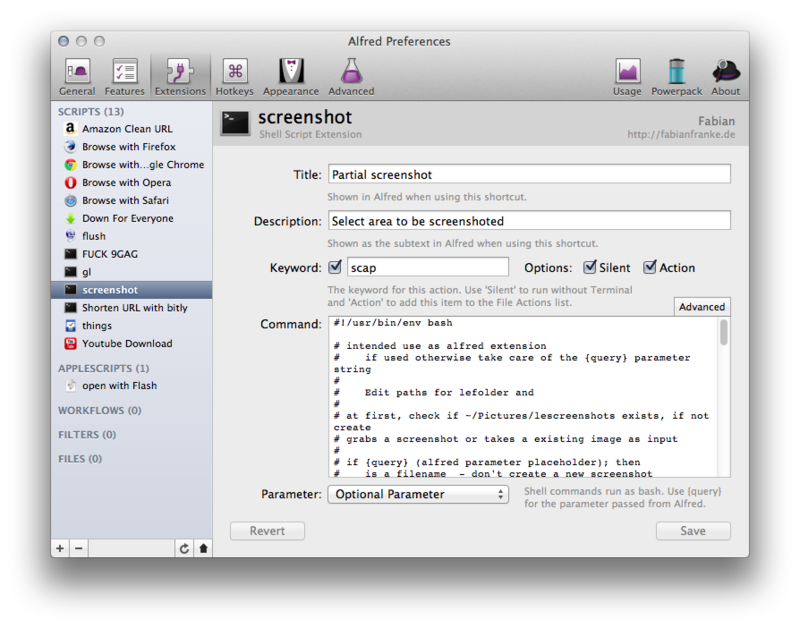 Just double click to import it in your alfred installation, configure the paths and you are done.